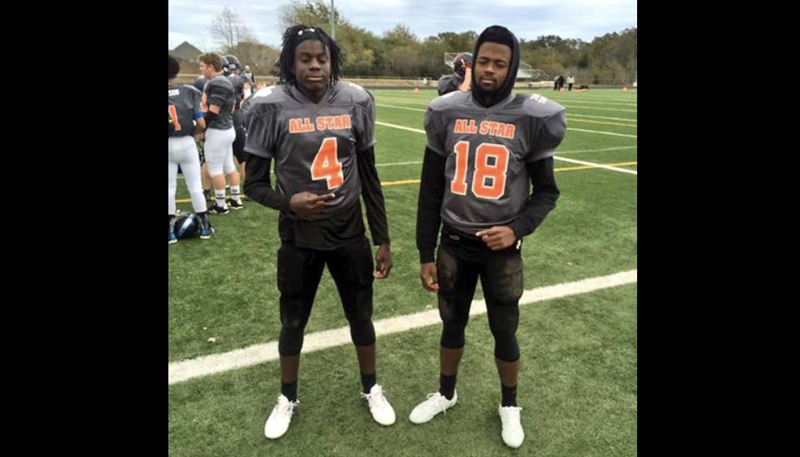 Two players on a private high school football team in Crosby, Texas, were kicked off the team for protesting racial injustice during the national anthem Friday. Cedric Ingram-Lewis, 16, raised his fist, and his cousin Larry McCullough, 18, knelt and were summarily told to take off their uniforms and leave the field, according to the Associated Press. The head coach at the Victory & Praise Christian Academy, Ronnie Mitchem, a former Marine, said that his players were not allowed to protest during the anthem because he felt it was disrespectful to veterans. McCullough and Lewis said that they knelt during the anthem to bring visibility to the oppression of black people, not to disrespect those in the armed forces. One of the teen’s mothers said she felt that the humiliation her son and his cousin experienced was beyond the pale. “[The coach] standing as a Christian and a pastor, that was just not right at all on any level,” Rhonda Brady said, according to the news station. Thanks to all of you for your support. I want to be clear that I don’t have a problem with people protesting if it is done the right way. But to disrespect the flag that gives us the right to protest is the wrong way to do it. I gave the two players other ways to protest that I felt was fair. I served in the U.S. Marine along side men of different colors and back grounds. My Marine drill instructors told us there was no black or white marine just marine Corp green and we would all fight for our country together. As a Christian We often times have different opinions on scripture but the one common thread to all believers is the blood of Jesus and what he did at the cross for us. Americans know and understand that if we lose that one common thread the love of country and respect for what we have then it won’t be long before we lose that freedom that we have. Martin Luther King was one of the greatest men to ever live and he always had the American flag in his marches and rallies. He did not hate America he wanted America to be the greatest nation on earth and I do not believe his dream included disrespecting our great nation and those who have died for it. Black, white, Asian, Hispanic all have come to this great nation and many have died so I could Pastor/coach and play football on Friday night. Though many may disagree with me this is what I believe and as an American I have that right. I pray these young men across America can come to understand there is a right and wrong way to do things. God bless America. Read more at KPRC and the Houston Chronicle.